Aviva Investors names Susan Schmidt head of US equities as it continues to build out the equities business globally. Global asset management firm Aviva Investors has appointed a head of US equities as it looks to expand its geographical footprint and capabilities in the asset class. Susan Schmidt joins Aviva Investors after three years as a senior portfolio manager covering small and mid-cap US equities for investment management firm Westwood Holdings. She has more than 25 years of experience in the investment industry. In her new role, Schmidt will be based in Chicago and will report to recently appointed chief investment officer for equities, David Cummings. 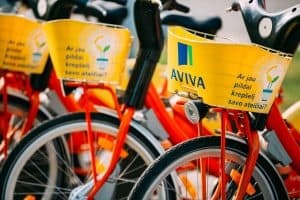 Aviva Investors has already made moves to bolster its equities business globally this year after poaching eight fund managers from Standard Life Aberdeen in July. At the time, the asset manager said that the new hires reflect its commitment to invest in its equities division. Chief executive officer at Aviva Investors, Euan Munro, also commented that investing in the equities capabilities at the firm is a strategic priority for the business, adding at the time that the eight new hires will enhance Aviva’s ability to offer compelling equity propositions for wholesale and institutional investors.